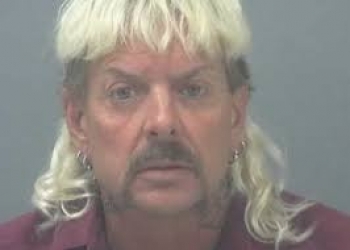 Animal Park Operator and former Gubernatorial candidate Joseph “Joe Exotic” Maldonado-Passage is now facing 21 charges, including shooting and killing animals at his park, according to the News on 6. According to court documents, Maldonado-Passage is being indicted on several violations of the Endangered Species Act, along with the Lacey Act, which is related to Maldonado-Passage working at the Greater Wynnewood Exotic Animal Park. Court documents state that in order to make room for “big cats,” Maldonado-Passage would empty cages by shooting and killing endangered lions and tigers. In early September, Maldonado-Passage was indicted for allegedly hiring an unnamed person to murder a Florida woman. Maldanado-Passage is currently in custody at the Grady County Jail. His trail date has been set for Dec. 4.